Overhead Pressing – Why is it so HARD??? 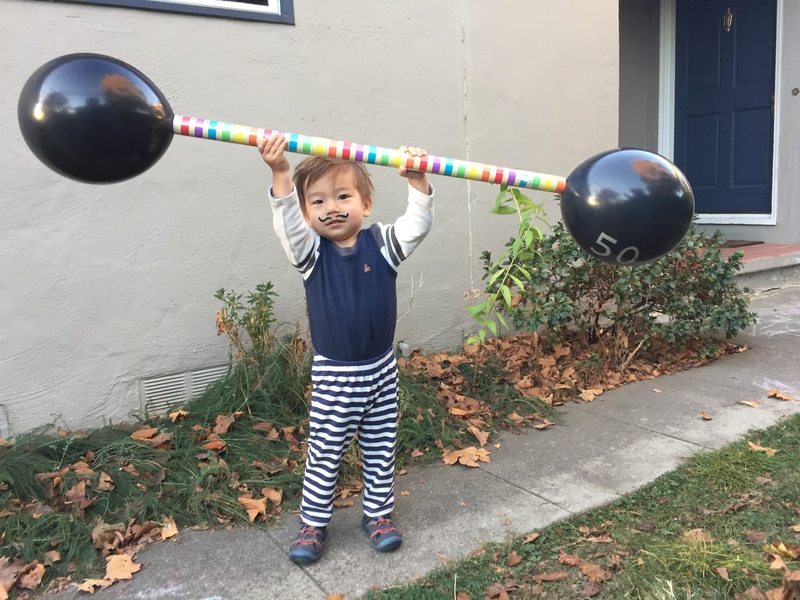 My nephew is a master of the overhead press – here’s how you can do it, too! 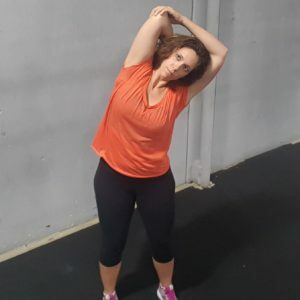 It requires good shoulder mobility: Our typical modern lives tend to create a stiff shoulder joint because we don’t require a lot of range of motion there. 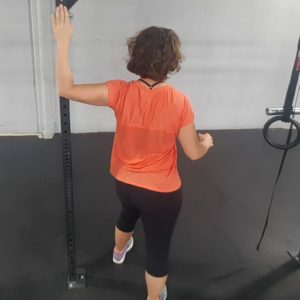 It works somewhat smaller (and therefore, weaker) muscle groups in the upper body, so it just doesn’t feel as good as some lower body movements (like squats). It’s scary! – You can’t see where the weight is going! And I commonly hear from clients about the fear of dropping the weight on their heads. And all these reasons are exactly why I LOVE coaching this movement – Overhead pressing empowers people to feel flexible and strong! It’s important to build mobility in your shoulders first, before attempting to press heavy weights overhead. This ensures you’re using your larger, stronger primary muscles, rather than overworking smaller, stabilizer muscles (like your rotator cuff). Do a mini squat against a wall and engage your core muscles so that your lower back isn’t pulling too far away from the wall. Use a narrow doorframe to stretch both shoulders and step through, or use a pole or corner of a wall to stretch one side at time. Before picking up weight, master these bodyweight movements. Once they feel easy, use them as a warm up before overhead pressing. Pull your head out of the way by creating a double chin as bar is passing in front of face, then go back to regular position after.